Nigeria, officially the Federal Republic of Nigeria lies off West Africa with its coastline off the Gulf of Guinea. It borders Benin in the west, Niger in the north with Cameroon and Chad in the east and comprises 36 states as well as the Federal Capital Territory. The country is frequently referred to as the Giant of Africa, Nigeria has approximately 182 million inhabitants and is the most populated African country and in the world, ranks seventh. It’s a multi-national state comprising more than 500 ethnic groups. 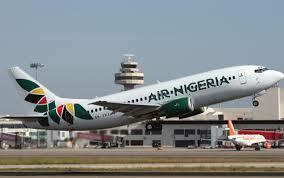 Nigeria is well known for natural landmarks, wildlife reserves, waterfalls, rainforests and its savannah. It also has an extremely rich history. From 500 BC to 200 AD the Nok civilisation thrived with their life-sized figures created out of terracotta. From recorded history the northern cities of Kano and Katsina date back to around 999 AD. Abuja, planned and built mostly in the 1980s, was chosen as the new Capital city due to population pressures and political problems the Capital could no longer function in Lagos. Abuja has over 60 hotels, more than 100 B&Bs and over 250 Speciality Lodgings with more than 75 restaurants offering local and international cuisines. From Abuja visitors have a great road network reaching the rest of the country. Tourists can fly with numerous airlines including Emirates, Air France, Turkish, Lufthansa, Etihad, Ethiopian and South African Airways and get cheap flights to Nigeria using our free search facility. Nigeria has a tropical climate, but due to dissimilar regions there are wide climatic variations. The coastal region hardly experiences temperatures above 32°C but the nights are hot with high humidity. Inland regions have two different seasons, the wet from April to August, with less rainfall during September and October and June being the wettest. November to March is the dry season with midday temperatures at a sweltering 38°C and higher with relief arriving in fairly cool nights, as low as 12°C. There’s little differentiation between summer and winter as its generally hot all over the country with the North being hot and dry and the south hot and humid. Temperatures are lowest from October to January over most of the country. To be self-reliant, hire a vehicle from Avis or Sixt and if moneys tight, hire one on the street where you can negotiate a hiring price with the driver. The road system in Nigeria is good with smooth roads but a high accident rate. Drivers don’t take much note of road lanes and may even drive on the pavement. There are minibuses and bush taxis available at a motor park depot in each town. The minibuses only depart once they’re full so there’s no set time schedule but are cheaper than bush taxis. The motor-cycle taxis are great for getting round town fast, but some have been banned in certain cities. Taxis in Abuja city are fairly easy and safe to use. Government sponsored taxis are green with white stripes while private taxis are different saloon vehicles that will give a hoot to see if you want a ride. The spectacular giant Zuma Rock, often referred to as Gateway to Abuja is 725m high and sits along the main road from Abuja to Kaduna. Aso Rock at 400m lies on the border of Abuja. Olumo Rock, in the centre of the ancient city Abeokuta, is an extremely popular tourist spot. Definitely not to be missed is Nigeria’s best wildlife park, the Yankari National Park located in the state of Bauchi, amidst spectacular natural beauty with hot springs, canoeing, swimming and superb wildlife viewing. When in Lagos, visit the Nigerian National Museum, home to a noteworthy collection of Nigerian art, archaeological and ethnographic exhibits and more. Afterwards cool off and relax at Bar Beach or one of several others along the shores of Lagos. An extremely popular holiday spot for locals and visitors, Oguta Lake is the largest natural lake in the state of Imo with blue waters and no crocodiles. Attracting thousands annually, visitors go fishing, swimming, canoeing, play golf, enjoy cruise boat excursions, visit relics of war or simply relax taking in all the beauty. Another hot attraction for tourists and locals is Gurara Waterfalls in Niger State. The falls around 30 metres and it’s a great place for bird watching, picnics and swimming.